There is an important and undeniable link between trauma and addiction. Does trauma cause addiction? Does a lifestyle of addiction invite or make more likely traumatic experiences? Perhaps trauma and addiction is somewhat like the chicken and the egg: We’re not sure what comes first but we certainly know they go hand-in-hand. Over the course of many years, there is certainly undeniable evidence that documents an important correlation between trauma and addiction. More often than not, the trauma a person experiences as an adolescent plays a huge part in the relationship between the individual and substance abuse. In the 2003 National Survey of Adolescents, it was reported that teens who had experienced physical or sexual abuse/assault were three times more likely to report past or current substance abuse than those without a history of trauma. In a 2007 survey, 70% of adolescents receiving treatment for addiction or substance abuse had a history of trauma exposure. Over a number of studies conducted between 1997 and 2000, 59% of young people with posttraumatic stress disorder subsequently developed substance abuse or addiction problems. There is a number of different ways to look at the relationship between trauma and addiction, but there is no way to dismiss the facts that trauma and addiction are intertwined in a complex relationship. There is something to be said for trauma being a risk factor for substance abuse and also something to be said for substance abuse being a risk factor for trauma. It is also important not to neglect mental health and dual diagnosis issues into the equation. Often someone with a mental illness and trauma will self-medicate both issues which can turn into dependency and then addiction. Another important point to remember is that trauma can be different for everyone. Trauma is defined by Mirriam-Webster (simple form) as “a very difficult or unpleasant experience that causes someone to have mental or emotional problems usually for a long time.” So although most people would typically define trauma as some devastating, difficult experience like physical or sexual assault, a bad car crash, witnessing a death or violent crime or dealing with the issues of war, it is important to understand that trauma (and its effects) are defined by the individual. Trauma is owned by how an individual is impacting by an event or situation. So the effect that a sexual assault has on one person could be similar to the effect that a child feels going through a parental divorce. Even though society may view the sexual assault as more horrific or more disturbing, the emotional and traumatic impact is the same on the individual in both events. There is no more or less “value” or “weight” given to one situation or the other. Trauma is trauma and the impact on the individual is the same, regardless of how viewed by others. There is an undeniable link between trauma and addiction and even possible more so between traumatic childhood experiences and addiction. Just like the movement many years ago that identified the important link between addiction and mental health disorders that began the change towards dual diagnosis and co-occurring disorders treatment, there is now a movement based on overriding evidence between addiction and trauma. Again, while not every person with an addiction suffers from trauma and not every person suffers from trauma ends up with an addiction, the link between the two is strong. 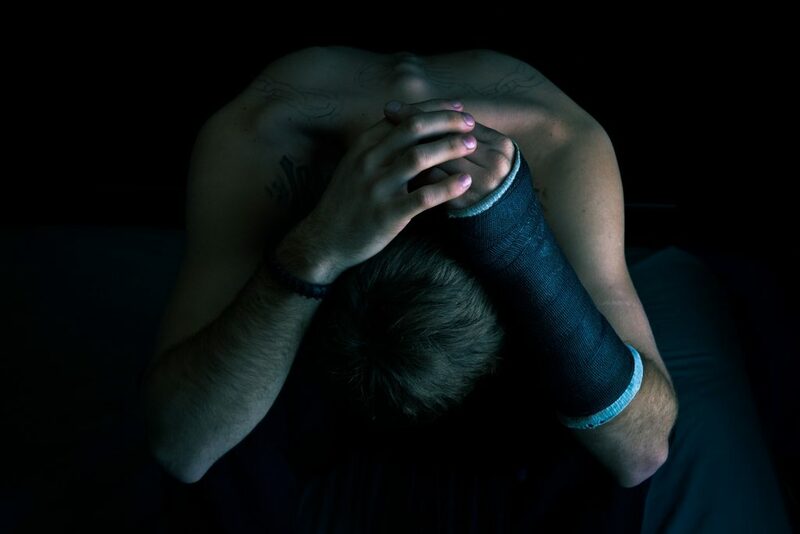 There is a large percentage of those in addiction treatment that need trauma work due to either A) a traumatic childhood experience that often fuels or exacerbates the addiction, or B) multiple traumatic experiences that occurred as the result of a lifestyle lived to support a drug and alcohol addiction. Finally, it is also important to note that trauma work is not and cannot be done in a short period of time. Trauma work takes time. It cannot be done in a traditional 28 day residential setting. It can certainly be IDENTIFIED at the beginning stages of addiction treatment, but if it is to be truly worked on, it must be done over time. Therefore, if a patient begins working on their trauma in treatment it is vitally important that the treatment continue post discharge through an extended care facility able to treat trauma or with an individual therapist that specializes in trauma or both. Some of the effective forms of therapy that work in the treatment of trauma are prolonged-exposure therapy, cognitive-processing therapy (CPT), eye-movement desensitization and reprocessing (EMDR), cognitive restructuring, a form of CBT called stress-inoculation training and also some medications. Also important is a supportive environment and supportive social network.